In today's world of instagram filters and countless apps to edit photos with, many people are turning to an approach of shoot it quickly and edit it to your liking later on. That's fine, but that's not the way I do photography. In my opinion there is no replacement for getting it right in camera. My goal is always to achieve an image that represents a scene as close to as what I witnessed in person. Paying close attention to composition and exposure settings is paramount. There are also a couple filters I use that will do things for your images that no photo editing software can do. 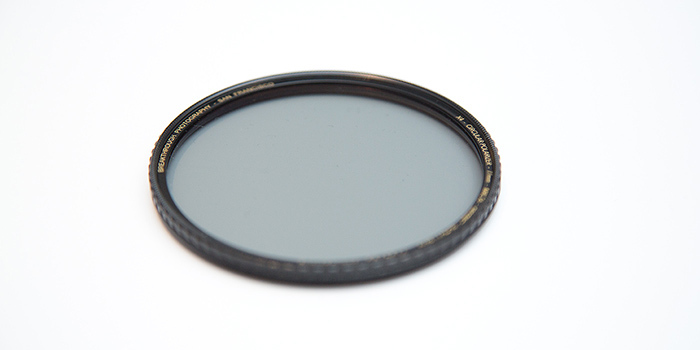 The first of those is a circular polarizing filter. It never leaves my bag. If you aren't already using one, you should consider it. Let me tell you why. Firstly, just to get it out of the way. Let's talk about what a circular polarizer is, and what it actually does. Essentially, a polarizing filter removes certain light waves that you want to eliminate from your photograph. These light waves often give a scene unwanted glare and reflection from the sun. 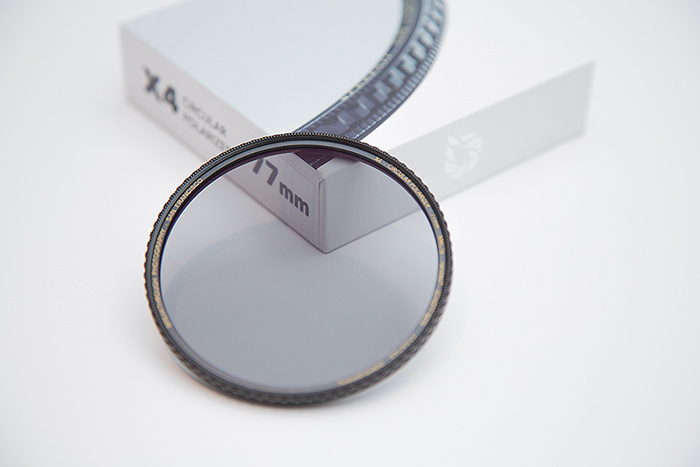 The circular part of the polarizer refers to the fact that you can turn your filter to your liking to get the amount of polarization that you prefer. If i'm completely honest here, there isn't much need for you to know much more than that. If you are interested in learning more about the technical aspects and physics of how light waves work in regard to polarization, there are about a gazillion articles out there you can google! You may have heard the term "polarized" before when referring to sunglasses. Most higher end glasses have polarized lenses for the same reason we use them on our camera lenses. Have you ever left your sunglasses on for a long time and upon taking them off thought.. "it's not quite as nice out as I thought it was!" That's because they cut down on glare and reflection, and in general make the world look more clear and colorful. If you have a pair of sunglasses with polarized lenses pay attention to the differences you see with them on vs. with them off. Furthermore, if you take the glasses off your head and look through them and rotate them, you will see the light drastically change. (especially in blue skies) What you're seeing there is the exact same idea behind a circular polarizing filter. They're basically sunglasses for your camera. So when it comes to photography, what situations call for a polarizer? The answer to this question can be varied, as there are many situations where a polarizer can be used to get the desired effect you're after. To keep it simple I'll talk about the two most common scenes where a polarizer is a must. These are, scenes with water and scenes with a lot of blue sky. When shooting scenes with water, there is often times a large amount of glare and reflection that can take away from the scene. This is especially noticeable in the mid day when the sun is high in the sky. There are times though when a specific shot you're after needs to be taken mid-day. The photo above is the beautiful Old City of Dubrovnik in Croatia. For me, this shot had to be taken when the sun was high in the sky. This image I was after was all about contrasting the vibrant red roofs against the crystal blue waters of the Adriatic Sea. Shooting at mid day when the water appears most blue was a must. If you play with the slider on this image you can see what a huge difference a polarizer makes. Each photo was taken on identical settings within seconds of each other. These are straight out of the camera and the only difference is one is shot with a polarizer and the other, without. the first thing you will notice is the glare in the water is cut substantially. This is important because now you can really see the true color of the water without the reflections taking away from it. You'll also notice that the roofs get significantly more vibrant. Thats because they too are suffering from substantial reflection and glare. The filter eliminates those light waves and you can now more clearly see the colors you want, and cut though the haze you don't want. This next photo demonstrates how much of a difference a polarizer can make to a blue sky (and the scene overall) Again, these are shots straight from the camera with no differences in setting between them aside from the addition of a circular polarizer. As you move the slider back and forth you will immediately see a striking difference in the sky. It is much more blue and the snowy mountain peak now pops in the scene more. You'll also notice more vibrance in the colors of the trees and brush. This is again the glare and reflection on the leaves of the trees that you probably wouldn't even notice with your eyes, but your filter can eliminate. Polarizers work best at a 90 degree angle to the sun and this particular photo happened to be right in that sweet spot which is why it looks so dramatically different. There are times where you may not see much difference at all with a polarizer. It's all about experimentation and experience with these filters. As with most photo equipment, trial and error is the best way to learn. You can read up all you want but nothing is a replacement for getting out there and trying it for yourself. This is true for polarizers which may baffle you at times when they seemingly do nothing for your shot one moment and completely change a scene the next. So, to help with that here are a few things to keep in mind about using a circular polarizing filter. 1.) polarizers will have different / more noticeable impact on different scenes. Many factors play into this. Experience is the best way to get to know how a polarizer will behave with different scenes. 2.) When it comes to polarizers you get what you pay for. High end filters can be pricey but it's worth paying for better glass. 3.) Polarizers generally work best at a 90 degree angle to the sun in any direction. This means they will have the least amount of effect when shooting directly at the sun or with the sun directly at your back. Again, this is a general rule. Experiment yourself to see what results you get. 3.) Be careful when shooting with very wide angle lenses, especially with clear blue skies. Wide angle lenses can capture so much of the sky in relation to its angle to the sun that it can show noticeable changes in gradient throughout the sky when using a polarizer, and the sky can appear unevenly colored. 4.) Polarizers will effect your camera exposure 2-3 stops. Keep this in mind when shooting in low light. 5.) Polarizers are great for subjects beyond just the sky and water. For instance shooting a scene where a building has glass with a lot of glare that needs to be removed. This can be corrected with a polarizer. Rainbows are also a good subject to bolt your polarizer on for. 6.) Many people say not to use polarizers in very low light situations as it effects your exposure by 2-3 stops. This is something I don't agree with at all. I use Polarizing filters at all times of the day, if it's too dark just use a tripod. 7.) Reflections and glare aren't always a bad thing. You may find a perfect reflection of a mountain in a lake, and you wouldn't want to cut too much through that reflection because that is what you're after in the first place. 8.) It's your artistic vision. Use the filters any way you like to achieve your desired results. 9.) Don't always turn your polarizer to its most polarized position. Spin it until you find the correct amount of correction for the particular scene you're shooting.